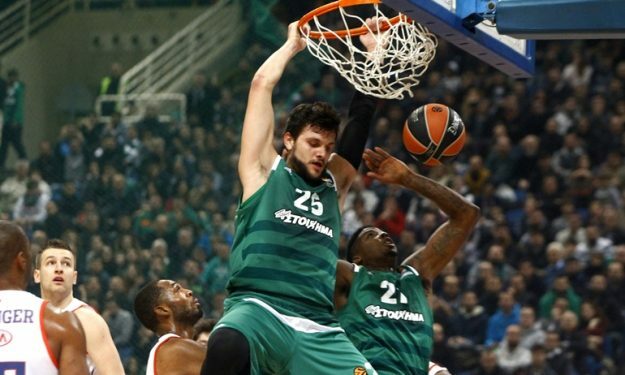 Alessandro Gentile is no longer part of Panathinaikos’ roster as sources close to the team confirm. The Italian guard will finish the season elsewhere. The two sides decided to part ways and Panathinaikos who got Gentile on loan from EA7 Emporio Armani Milano, will try to find an other club and loan him until the end of the season. Alessandro Gentile still has a contract for next season with EA7 Emporio Armani Milano and the question at this point is where he will finish the season. The Italian guard/forward couldn’t perform the way Panathinaikos expected him to and his options at this point are few. He can’t sign with an other EuroLeague team since the deadline has expired and he also can’t sign with an other Italian club, because Milano will not let him to. On the other hand the decision of Panathinaikos is final and the player’s near future is in limbo.